A croup cough results out of an infection of the voice box which is known as the larynx and the windpipe which is referred to as the trachea. It causes the upper airways to get inflamed. When you hear a croup cough, it sounds hoarse; much like the barking cough of a seal. It is prevalent among children of a young age when they suffer with common colds or after they have an extended bout of crying hoarsely. It does not trouble the teens and the adults much because they have airways that are larger than those of the younger kids. This page discusses natural treatment for croup cough with the remedy that stops coughing quickly at home. The viral infection that leads to a croup cough is contagious. You can have people around the infected person protected by letting the patient clean his or her hands frequently and breathe mostly through the nose when around people, preferably with a handkerchief held to the nose to prevent germs from floating around freely. Croup generally has an outbreak around fall or early winter as the viruses are at their peak around these times. It starts with a common cold. Most cases are due to para-influenza viruses and in some cases, it could be respiratory syncytial virus. It tends to attack younger children more than adults. Croup develops when people get a viral infection in their upper respiratory system. Majority of the cases that suffer from a cough croup can be described as mild and they can safely be treated at home in a natural way. The chances of croup cough becoming severe or life threatening are almost nil. Technically, croup cough is a result of alveolar hyperventilation when we tend to breathe more air than what is normally taken in. 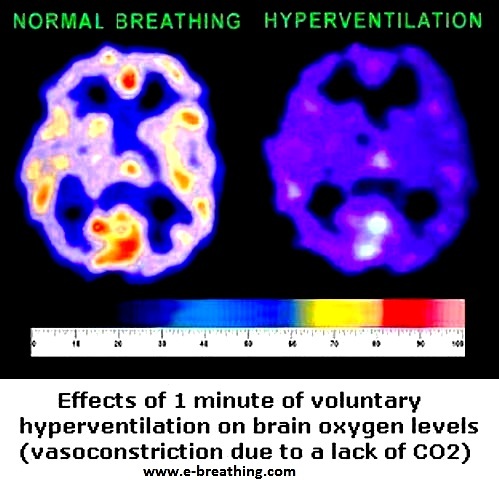 This results in hypocapnia or an acute deficiency of carbon dioxide, causing an upper airway constriction. The nerve cells get irritated and there may be inflammation, leading to an urge to cough. IMPORTANT. Coughing through the mouth causes airway inflammation and induces more coughing due to croup. More than ninety per cent of cases that suffer from croup cough do not need any treatment in emergency rooms of a clinic. But, if it is a case of a young child who is suffering with heavy breathing and extreme hyperventilation or dehydration, it is better to consult a physician and get faster relief. In mild cases, natural home treatment is sufficient (see the remedy below). Using humidified air is good enough to manage croup cough. Some people prefer to take steam treatment from a hot bath with some essential oils when they have attacks from cough croups. Ther e are simple breathing exercises that can be practiced and taught to the children to suppress croup cough. These breathing exercises also help the kids get comfort and sleep better. A good way to get children exposed to moist air is by using a mist humidifier. When they breathe in the mist, it will give them relief from croup cough, but likely would not stop coughing completely. A little drive in clean surroundings with the windows lowered slightly will also do them much good and help them in tackling the croup cough in a better way. Here is the results related to clinical experience of Soviet medical doctors practicing breathing retraining for respiratory and other conditions. 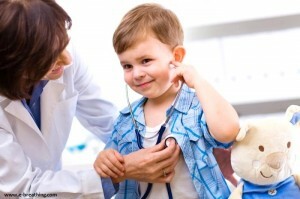 They found that ther natural treatment can reduce duration and severity of croup cough and infections. In order to achieve that you need to teach a child how to cough with the mouth closed (or only through the nose) in order to prevent hyperventilation, damage to airways and CO2 losses. A simple breathing exercise “how to stop a cough” helps children too. The exercise should be practiced by adults (to show to children for their imitation in future) and then taught to children from 2 up to 5 years old (toddlers, preschoolers, etc.). The main ideas that children need to learn and practice are following, “Hide your breath”, “Breathe as little as a tiny mouse”. The video below explains more about the breathing exercises to stop cough due to croup fast (in minutes). Adults should explain this remedy, in simple words, to children.